Born: 1876, Edinburgh, United Kingdom. Died: 1966, Place not known. Charles Edward Legat, forester, was awarded the degree Bachelor of Science in Agriculture (BSc Agric) at Edinburgh University. He came to the Cape Colony in May 1898 to take up an appointment in the forestry service. After a brief spell at the Tokai plantation near Cape Town he was appointed assistant superintendent of the George plantation in April 1899. In September that same year he was transferred to the Concordia plantation at Knysna and became its superintendent in January 1901. Among other duties he was responsible for a second order meteorological station there, sending his meteorological observations to the Meteorological Commission of the Cape of Good Hope. In August 1901 he was promoted to district forest officer at Hanover. In April 1902, at the conclusion of the Anglo-Boer War (1899-1902), Legat was appointed forestry assistant to the Department of Agriculture of the Transvaal Colony, with a view to starting a Forestry Department, saving the remaining natural forests of the colony and establishing plantations to supply the increasing timber requirements of the Witwatersrand gold mines. In October 1904 he was promoted to conservator of forests for the colony. His annual reports dealt mainly with the department's plantations and tree nurseries. However, he also published some articles in the Transvaal Agricultural Journal. In "The failure of the Monterey Cypress in Pretoria" (April 1903) he reported that the local soil and climate were not suited to this exotic tree from California. In July 1904 he described some tree species and from January 1905 contributed a regular Forestry Section for some time. Three more short articles followed during 1907/8, dealing with "Osier, or basket willows", "The three common varieties of the feather-leaved wattles", and "The propagation of trees from seed". He also published a paper on "Trees of the north eastern Transvaal" in Kew Bulletin in 1910. After the creation of the Union of South Africa in 1910 Legat became first-grade conservator of forests for the Transvaal conservancy in April 1912. He succeeded J.S. Lister* as chief conservator of forests for the Union of South Africa in May 1913 - a post he held until his retirement in 1931. In 1920 he attended the Imperial Forestry Conference as representative of both the Union of South Africa and Swaziland. He was a member of the South African Association for the Advancement of Science from 1903, serving as president of Section C in 1918. His presidential address dealt with "Timber supplies and forestry in the Union" (Report, pp. 79-99). He also joined the Royal Society of South Africa as a member shortly after its formation in 1908, and in 1916 became a foundation member of the South African Biological Society. In 1930 he published a paper on "The cultivation of exotic conifers in South Africa" in the Empire Forestry Journal. 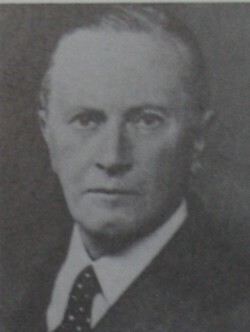 He continued publishing on forestry matters after his retirement, including The Empire Forestry Handbook (Editor, 1938), "Tour notes to the Fifth British Empire Forestry Conference 1947" in the Empire Forestry Review, 1947, and reviews of several of the annual reports of the Forestry Departments of South Africa (1939, 1941, 1946, 1948), Southern Rhodesia (now Zimbabwe, 1938) and Tanganyika (now Tanzania, 1938, 1940). Legat appears to have left South Africa after his retirement. In 1939 he was honoured as a Commander of the Order of the British Empire for services to the Empire Forestry Association. The specimens he collected are in the National Herbarium, Pretoria, and in the herbarium of the Royal Botanic Gardens at Kew, England. The species Maerua legatii and Zyzygium legatii were named after him by J. Burtt-Davy*. Cape of Good Hope. Report of the Conservator of Forests, 1899. Cape of Good Hope. Report of the Meteorological Commission, 1899, 1900. Central Chancery of the Orders of Knighthood. Supplement to the London Gazette, 8 June 1939, p. 3862. Retrieved from https://www.thegazette.co.uk/London/issue/34633/supplement/3862/data.pdf on 2018-4-26. Google scholar. http://scholar.google.co.za Publications by C.E. Legat. Gunn, M. & Codd, L..E. Botanical exploration of southern Africa. Cape Town: Balkema, 1981. National Automated Archival Information Retrieval System (NAAIRS). http://www.national.archives.gov.za/naairs.htm Documents relating to Legat, C.E. Royal Society of South Africa. Transactions, 1908-1910, Vol. 1, lists of Fellows and members. South African Association for the Advancement of Science. Report, 1903, 1905/6, 1910, 1918. Transvaal [Colony], Department of Agriculture. Report, 1902, 1902/3, 1903/4, 1905/6, 1907/8. Transvaal Agricultural Journal, 1903-1907, Vol. 1, 2, 3, 4, and 6.